Ingredients: Milled sunflower seeds, erythritol, prebiotic dietary fiber, leavening (sodium acid pyrophosphate, sodium bicarbonate, tapioca starch, monocalcium phosphate monohydrate), salt, stevia. Mix is manufactured in a dedicated gluten free facility. Good Dee's Low Carb Blondie Mix is gluten free,soy free, and sugar free. 1 Net Carbs per brownie! Just add 1/2 cup melted butter or oil and 2 eggs. Sweetened with erythritol and stevia. From Good Dee's, "Say hello to the new mix in town! We want you to answer the age old question: Do Blond(ies) have more fun? The counterpart to our fan favorite brownie mix. Our blondies are maltitol free, gluten free, soy free, and sugar free! They are great for Ketogenic, Diabetic, and LCHF lifestyles-or for those just wanting to reduce their sugar intake and watch what ingredients go in their body! 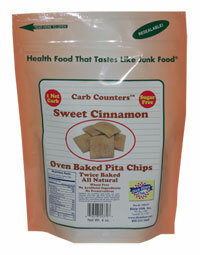 We use erythritol and stevia to give it a sweetness and sunflower seeds to keep it flourless. We also use no nut based ingredients. You can't go wrong with our mixes! They come in at 1 net carb a piece. You just need to add butter and eggs (or coconut oil if you so choose) and enjoy! Feel free to customize-add a handful of sugar free chocolate chips or even some chopped up nuts-possibilities are endless. Have a rich dessert with 0 guilt."